Diabetes is not caused by sugar. It is caused by the insulin hormone’s inability to regulate the amount of glucose in the blood. Glucose is made from foods that are high in starch like bread, sweets, white potatoes or rice. When the insulin hormone is functioning correctly, it carries the glucose to all of the body’s cells so they can provide the body with the energy that it needs. Either a lack of insulin or too much insulin will cause diabetes. Thousands die from diabetes on a yearly basis because there is no known cure. Resulting complications of this disease are depression, heart disease, blindness, kidney disease and skin conditions. A special diet and daily exercise can help people keep their diabetes under control and can stop complications. Type 1 and Type 2 are the two kinds of sugar diabetes. Each one has its own characteristics. If a person is diagnosed with diabetes during adolescence or childhood, they will most likely have Type 1. This is especially common after a urinary tract infection, an injury or a virus. After experiencing one of these problems, the patient may experience nausea and vomiting that is so severe that they become dehydrated. This often leads to serious problems with the potassium levels in the blood. If this is not treated quickly, the patient can go into a coma and die. The symptoms for Type 2 diabetes are more subtle. They often show themselves in old age or when a person becomes obese. If this type of diabetes is not treated correctly, it can lead to heart disease, blindness, nerve damage and kidney failure. Either type of diabetes can cause these symptoms. The person may lose weight for no reason, and he may feel tired most of the time. The body will work hard to get rid of the extra sugar that is in the kidneys, resulting in excessive urination and thirst. With diabetes, the body does not have the necessary number of white blood cells. These fight infection, and when they are not present, it is very difficult for a wound to heal. It is common for a diabetic patient to suffer with one infection after another and to have wounds that refuse to heal. Blurry vision is common with high blood sugar. The person’s mental state may also be affected. When a person becomes inattentive, is very agitated, is irritable for no apparent reason, is extremely lethargic or confused, it is a sign that the blood sugar is very high. 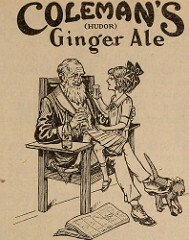 If it is not brought down quickly, the person can go into a diabetic coma. Even though a person has not been diagnosed with diabetes, it is extremely important for them to see a doctor if they are experiencing any of these symptoms. Explain the symptoms to the receptionist so she can order the blood tests before your doctor’s appointment. With the exams in hand the doctor will be able to explain to you what exactly is sugar diabetes. Do you need the blood sugar chart because you have been diagnosed with diabetes? We have blood sugar levels chart that you can easily utilize..
STOP EVICTIONS! OCCUPY EALING HOSPITAL! DEMANDS MAY DAY MARCH! Jonty Leff, Deputy General Secretary of the Workers Revolutionary Party was closing the rally at the end of the Young Socialists-Workers Revolutionary Party May Day March through Ealing in West London on Saturday afternoon. 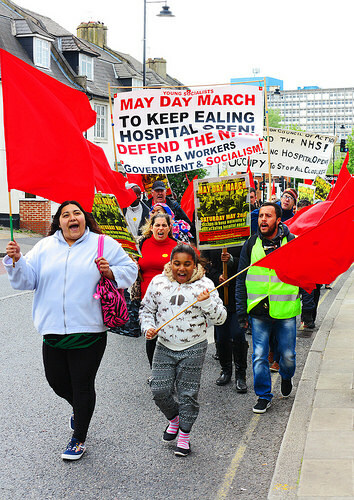 More than 200 workers and youth were on the march, which was led by red flag waving youth, followed by the WRP/YS banner which called for the occupation of Ealing Hospital against closure, then the West London Council of Action banner and the YS Victory to Palestine banner. ‘Defend Ealing Hospital – Occupy now! Defend the A&E, Defend our Maternity – Occupy Now!’, rang out as the march moved off from its assembly point at the front of the hospital. ‘No Zero hour contracts – youth demand jobs!, Capitalism is Collapsing – Socialism Now!, Defend our NHS – No privatisation, One solution – World revolution, No cuts, no closures – Kick this government out!’, were other slogans on the march. WRP General Secretary Frank Sweeney opened the rally by sending revolutionary greetings to working class struggles around the world, starting with Yemen and followed by Palestine, Ukraine, Greece and many others. The first speaker was Scott Dore. He said: ‘Greetings on May Day. All over the world workers are fighting against capitalism. ‘In Britain almost every A&E is threatened with closure. They’ve already closed two A&Es in west London and now they plan to close a third and a fourth at Ealing and Charing Cross. ‘To occupy, to physically occupy is what’s needed. ‘If the Tories are re-elected they will close these hospitals and if a Labour government gets elected they will also bring in austerity. ‘When we spoke to Rupa Huq, the Labour candidate here, she said Labour will not re-open anything that’s already closed and only review what’s up for closure. ‘When Blair was in power Labour brought in private companies to run the NHS, they brought in privateers to attack council housing. ‘It’s not enough to say that it is wrong. We have to be ready to bring down a Labour government. ‘It’s not enough to contemplate what’s going on. Build the leadership. Recruit. The next speaker was Radka Lackova, who said: ‘I’m a mother living with my husband and three kids in a one bedroom flat in Harringay. ‘I’ve been back and back to council telling them it’s too small, but they always try to confuse me, telling me I should look for my own property or swap houses. Railway worker Bill Rogers told the rally: ‘The response we got today was terrific. ‘This week millions of workers are going to the polls and they want to kick the Tories out. The working class has taken a massive great hit over the last five years. ‘This business out in Baltimore, the state has arrested hundreds of people, it’s a huge uprising of workers, spreading across the US. There’s a coming together of the working class around the world. ‘In Greece they are going to default and this will blow up the EU. ‘It’s important to vote for Scott and I support the call to occupy Ealing Hospital. ‘Our branch of Aslef was instrumental in setting up the North London Council of Action, which picketed Chase Farm Hospital for years and occupied against the closure of the maternity and A&E. ‘Within four hours they brought in the riot police. The struggle for Chase Farm showed that we’ve got to have the support of the trade unions. ‘But the trade union leaders just disappeared. Such leaders must be kicked out and replaced with leaders who will take action. ‘We support the call for a general strike to bring down any government that tries to bring in austerity. If you do that you have to take the power and organise a socialist revolution. Fourteen-year-old Safie Emila Sellu, whose family is facing eviction from their home tomorrow morning at 11am, told the rally: ‘Every year we have been made to move house. On Tuesday we’re not going to school because we’re being evicted. ‘They are forcing us to move into a private flat. They are evicting, intimidating and scaring my little sisters. It’s not right. Safie’s mother, Aminata Sellu, said: ‘I am from Sierra Leone, where my dad was killed and my brother’s family in the civil war. ‘I want to add a few words. As an African, we travel all this way for our safety and a better life for our children. They put us in private housing. ‘Recently they moved us from Elephant and Castle to Plumpstead, so my children had to wake up at 5am to go to school. Now they have brought us back to Camberwell but they are planning to evict us on Tuesday. ‘I work as a support worker for Care UK. Frank Sweeney said: ‘These comrades should be proud of themselves for refusing to be intimidated,’ and a vote was taken to go to 51 Benhill Road, SE5 7QY at 10am tomorrow to prevent the planned eviction at 11. Jasmin Parsons, from Our West Hendon, said: ‘At West Hendon we have won a number of battles. ‘Barnet Council are getting rid of 9,000 council homes, replacing them with private property. ‘The privatisation of council housing plan is going on right the way throughout London. ‘These are our homes, our assets, they were never given the mandate to sell off anything. ‘They are thieves, selling off our public land, treating us like muck. Final speaker, Jonty Leff, said: ‘Comrades here are being evicted as a whole family. We will support them on Tuesday. If capitalism can’t offer people a roof over their heads it has to go. ‘The United States are .9 trillion in debt, an impossible sum to repay. Young people and workers are saying they won’t have it. Fast food workers are striking for a minimum wage of an hour, which they have won in some areas. ‘US workers are rising up and so are youth. ‘When Freddie Gray was killed in Baltimore, his spinal cord broken by the police, the youth and community rose up. They have called a state of emergency and brought in hummer armoured vehicles against protesting youth. ‘In Greece, the Syriza government has to dance to the tune of the Troika, but workers are saying they won’t pay for the crisis. A revolutionary movement is emerging in Greece and it’s the same in Britain, which is totally bankrupt. ‘They paid £1.4 trillion to bail out the banks in the 2007/8 crash and to pay for it they are closing hospitals and schools and privatising everything. ‘The Tories are aiming to install Johnson as their leader, who has bought water cannon to use against the uprising they know is coming. ‘They are moving towards a National Government for the job in hand, which is to smash up all the gains of the working class. ‘But we’ve had strike after strike, people are fighting, but there is a rotten leadership in the unions. ‘These cowardly leaders who refuse to fight must be kicked out. ‘The source of all these problems is capitalism, which has to go and we have to nationalise the banks and place all the services under workers control. ‘When they move to close the maternity and A&E at Ealing Hospital, staff, unions and the community must occupy. A General Strike is coming, we have to build the leadership required to ensure its victory,’ said Leff, before the rally concluded with the singing of The International. News Line also spoke to marchers as they were assembling and as they made their way. Nicky Parmer, a playwright from Southall, which is next to Ealing Hospital, joined the WRP and said: ‘Ealing A&E saved my life, my mum’s life and my dad’s life and I despair for the future without it, I really do. ‘The biggest two illnesses in Ealing are mental health issues and diabetes and the community desperately needs the A&E service, while the closure of the Maternity will be equally disastrous. WRP member Bianca Nevins, a 22-year-old teaching assistant from Shepherds Bush, said: ‘It is important to occupy. Something has to be done. Talking won’t help, actions will. ‘The idea that they are going to close the A&E and Maternity departments that are being used is disgusting. They’re not just being used, they are oversubscribed. ‘The redirection of patients to other already oversubscribed hospitals is just displacement. Southall tenant Sukhdip Matharu joined the WRP and said: ‘It’s imperative that Ealing stays open so we can continue to use this essential service, which is central to a lot of boroughs and is so needed.